An interesting one, this. Because there are two crucial elements to the question. Can dogs get depressed? And, can dogs get depressed like humans? Given that there is still some fairly wide and acknowledged gaps in the medical world's understanding of the illness of depression tackling this query is a real challenge. Former French president Jacques Chirac was rushed to hospital after being mauled by his own ‘clinically depressed’ pet dog. The 76-year-old statesman was savaged by his white Maltese dog – which suffers from frenzied fits and is being treated with anti-depressants. The animal, named Sumo, had become increasingly violent over the past years and was prone to making ‘vicious, unprovoked attacks’, Chirac’s wife Bernadette said. Read the full story here – whereupon you will learn that it was not a poodle at all. No, it was a Maltese – but that sure as hell doesn’t make the headline any less amazing. Trying to determine if your dog is experiencing anger, love, or any other "human" identifiable emotion (including depression) is difficult. To date, no one has been able to provide convincing scientific evidence that we can distinguish one emotion from another by what our brains or hormones do. We obviously feel differently when we're in a loving versus an angry mood; however, what our brain does to influence us to feel those very different emotions is less clear. Nonetheless, we believe that our pets 'love us', they appear to showcase emotions that we recognise in our own species, and they certainly look like they're feeling guilty after doing something wrong.” But do they know right from wrong, and when they do the wrong thing, do they really feel guilty or is this not just a trick of the human mind to make us see what we already know and understand? What most animal behaviour experts are happy to agree on is that dogs can and do suffer with anxiety in certain circumstances. Anxiety can manifest in many ways and can affect dogs differently. Nobody likes to see their dog unhappy, upset or showing signs that appear to resemble depression. Could Oral Problems Cause Depression in Dogs? Prozac For Depression in Dogs - Really? So, Depression in Dogs - What's The Deal? Dogs are social creatures. As puppies it is natural for them to get dependent and attached to their mother and littermates. This type of attachment is transferred on to you, his owner, when the puppy enters your life. This attachment results in distress whenever the dog is left alone in the house, which is the most common cause of separation anxiety. So for many dogs, simply being separated from us can cause them anxiety / depression (this is known as separation anxiety). For dogs who suddenly show a change in mood, it's always wise to have a vet perform tests. Dogs who very quickly change in their demeanour or temperament could have something physically wrong with them. One of the most common causes of sudden mood change can actually be a problem with your dog's teeth. Like us, having sore or painful teeth / gums can be a truly miserable experience. An inability eat, play or enjoy their toys can lead to a dog feeling very sorry for themselves. US business publication Fortune magazine has declared the decision by Eli Lilly (pharmacuetical company) to create and market chewy, beef flavoured prozac tablets for dogs as a means to treat seperation anxiety as the second ‘dumbest of the dumb’ business decisions of 2007. The magazine, a bible for wealthy and successful business people throughout the world, ranked the proac for pets move only one place behind Sony’s decision to use a cathedral as a backdrop for a violent video game in the list of stupidest business ideas. The very fact that a major pharmaceutical company is willing to invest time and expense on this project shows us that they believe there is a potential market from owners concerned that their dog might be suffering with depression. Dogs are by their general nature happy and outgoing. It bears repeating that sudden changes to your dog's mood would always be worth further investigation by an animal health professional. Dogs dispositions can changes as they age and in response to certain events and experiences as they go through life. 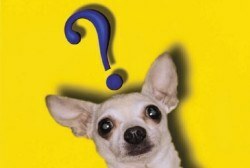 How Well Do You Understand Your Dog? Dogs can definitely get depressed. A puppy or even a dog under 4 years old will sigh and/or growl if they are not getting attention, resulting in boredom. Taking the time to pet them, walk them and chase them will get them excited. I noticed with older dogs you have to continuously pet them and spend time with them to relieve depression. Yep they sure can, I found out the hard way. We recently lost a human and canine family member and my bichon is having such a hard time. She looked for them every day for over a month and every day when she couldn’t find them she went straight back to bed and she stopped playing all she does all day every day is sleep in my lap but everyone kept telling me dogs don’t get depressed. Last Friday she stopped eating which led to constipation and vomiting and dehydration and a very expensive vet bill and a lot of heartache for me.